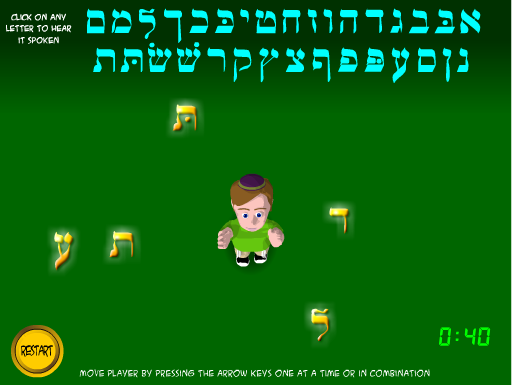 This game is designed for children familiar with the Aleph Bet who are able to practice and review by racing to recognize them. Students will practice identifying the letter and will hear the name of the letter spoken as they play. Click on the image to visit game site.